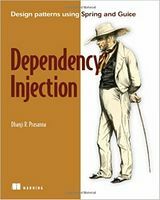 Dependency Injection is an in-depth guide to the current best practices forusing the Dependency Injection pattern-the key concept in Spring and therapidly-growing Google Guice. It explores Dependency Injection, sometimescalled Inversion of Control, in fine detail with numerous practical examples.Developers will learn to apply important techniques, focusing on their strengthsand limitations, with a particular emphasis on pitfalls, corner-cases, and bestpractices. 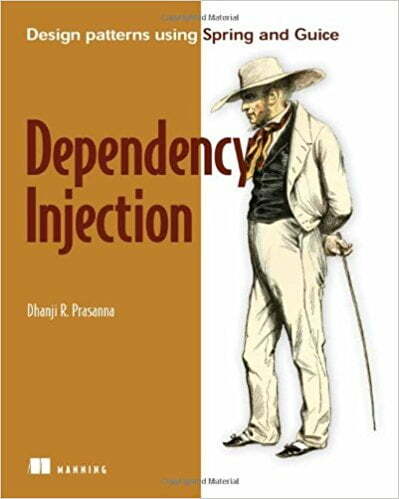 This book is written for developers and architects who want to understandDependency Injection and successfully leverage popular DI technologies such asSpring, Google Guice, PicoContainer, and many others. The book exploresmany small examples of anchor concepts and unfolds a larger example to showthe big picture. Written primarily from a Java point-of-view, this book is appropriate for anydeveloper with a working knowledge of object-oriented programming in Java,Ruby, or C#.